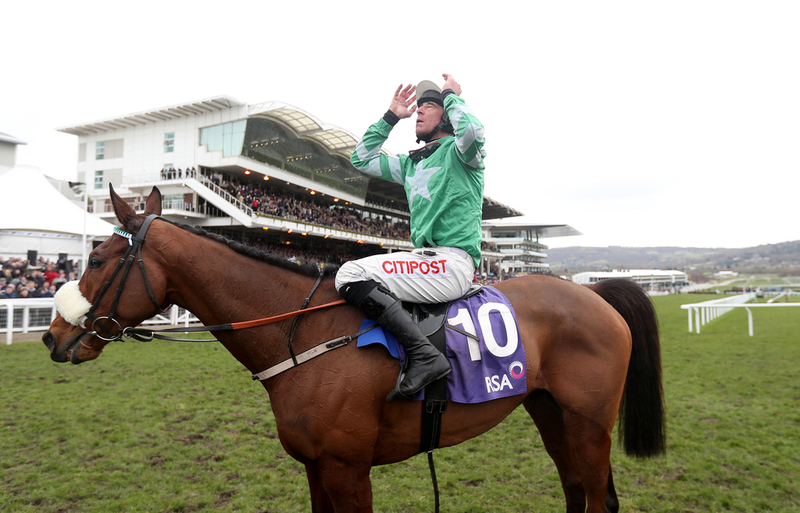 Gold Cup Flop Presenting Percy Sustained an injury during his run in the feature Grade 1 event of the Cheltenham festival that after an initial diagnosis is not as bad as first thought but still enough to see him miss the rest of the jumps season. The Pat Kelly trained eight year old went off as the 10/3 favourite for the Gold Cup but could only finish a weak eighth, never threatening in the race and never finding his usual rhythm when jumping his fences. The Philip Reynolds trained gelding had only ran once all season before his run at Prestbury Park and that came over hurdles at Gowran Park. He became one of the very few horses to enter a Gold Cup, whilst going off as favourite to not have a run over fences in the season, with his last over the bigger obstacles coming at Cheltenham back in the 2018 RSA Chase where he was an emphatic winner that day. Finishing 33 lengths behind the winner was not what his trainer and owner thought would happen but the injury and lack of action over fences made for all together a disappointing day on track for Presenting Percy. (Credit Racing Post) His Owner said: “He was lame as a duck after Cheltenham. He’s back at Pat’s, after spending time with Gerry Kelly [a vet], and the prognosis is better than first feared. “He has something called sclerosis on his near hind, which in layman's terms means he's got a bad bone bruise. I know Gerry was fearful he’d suffered a fracture so thank God it’s not that serious but it’s still going to take him plenty of time to recover. Reynolds explained how it was a sad day not seeing Presenting Percy run a proper race. He added: “I was quite deflated after the race, more so because the horse didn’t perform on the day and I couldn’t understand how out of character the performance was, but now we know the reason why. “There are far more disappointments than good days in this game and I always say I’d rather lead in a winner than lead out a favourite. I got over my deflation pretty quickly but I was disappointed for Pat. “He was on a hiding to nothing at Cheltenham in that, if the horse won the Gold Cup, that’s what many people expected but if he didn’t, it was his fault because of the preparation.